I love that my writing is on such a cool apparel item (my favorite color with gold foil? Yes, please! )- but what I love more is that it's in partnership with such a great focus. This is the first of a capsule collection of positivi-"TEEs" in partnership with Little Word Project. The shirts will feature short phrases and I am a fan of the fact that they are all about girl power and strength + encouraging yourself and others. 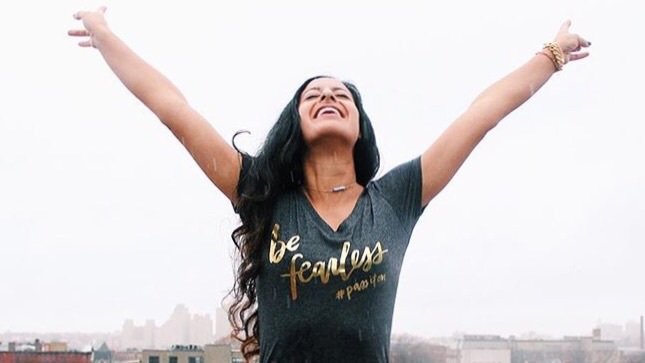 You can pick up your own "Be Fearless" "positivi-TEE" from Little Words Project here.